UF TREEO | Recycle Florida Today, Inc.
rainwater harvesting essay ppt viewer The University of Florida Training, Research and Education for Environmental Occupations (UF/TREEO) is the University’s environmental training center providing non-credit continuing education courses and certificate programs to those working in environmental professions. Delivery methods for these courses and programs include on-site, online courses, and hybrid models. environmental processes, and best management practices. 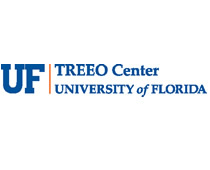 UF/TREEO is proud to be part of the Gator Nation.